Cory Davis is a freelance musician and nonprofit arts professional. He recently reserved his master’s degree in choral conducting from Temple University, and was the recipient of the 2017 Elaine Brown Tribute Award. He is the music director at Marple Christian Church, and an accompanist for theatre classes at Walnut Street Theatre. Cory came to Philadelphia from Washington DC, where he was music director of Gaithersburg Chorus and accompanist for Washington Men’s Camerata. He’s performed at the Millennium Stage at the John F. Kennedy Center for the Performing Arts, Washington National Cathedral, The National Gallery of Art, and The National Portrait Gallery. 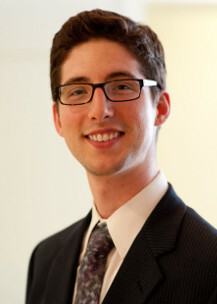 He has worked with Washington National Opera’s summer Opera Institute for high school students, Georgetown University, the George Washington University, Congressional Chorus, Norwood School, St. Alban’s and the National Cathedral Schools, and Somerset Elementary as an accompanist and musical director. Cory was also development operations manager at Chorus America, the national service organization for choruses. He also previously worked in development at Washington Concert Opera and Castleton Festival. He has a B.A. in music from The George Washington University.